Last chance to make a splash at Six Flags Hurricane Harbor in Valencia before it closes for the season on Sunday, Oct. 1. 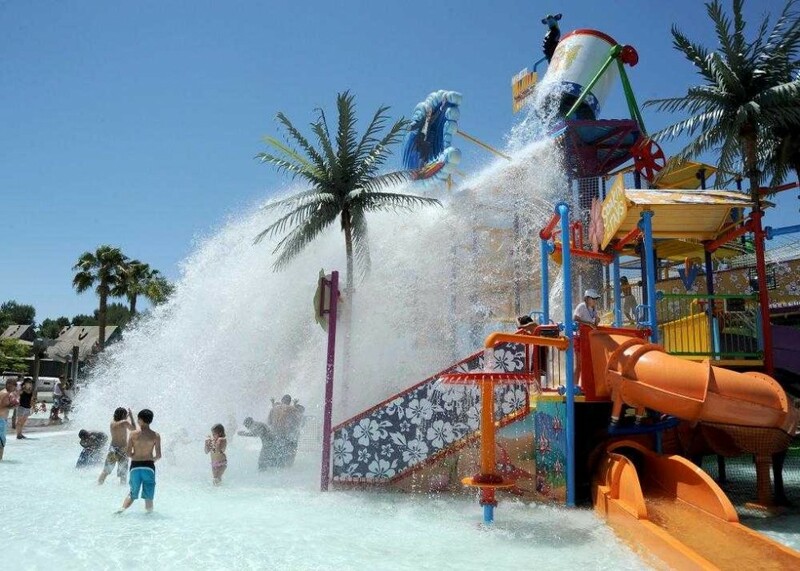 Valencia, Calif. – This weekend is your last chance to make a splash at Six Flags Hurricane Harbor before it closes for the season on Sunday, Oct. 1. It reopens Memorial Day weekend 2018. Operating hours are 10:30 a.m. to 6 p.m. Saturday, Sept. 30 and Sunday, Oct. 1. Adult tickets are $34.99 online, $42.99 at the gate. Admission for children under 48 inches is $34.99. For more information, visit www.sixflags.com/hurricaneharborla. Six Flags Magic Mountain has announced that they will begin 365-day operation in January 2018. Santa Clarita, Calif. – Six Flags Entertainment recently announced their plans for Six Flags Magic Mountain, the Southern California flagship theme park, to enter into 365-day operation, starting on January 1, 2018. “With the best collection of thrills in the world and the Six Flags brand expanding globally, this is the perfect time for one of our flagship properties to make the business transition to a 365-day operating schedule in order to maximize travel industry opportunities. Six Flags will now provide a thrilling vacation option to both international and domestic visitors coming to enjoy Southern California,” said Jim Reid-Anderson, Chairman, President and CEO of Six Flags Entertainment Corporation. The Valencia theme park originally opened in 1971, and has operated on a limited schedule, with Magic Mountain running year-round on weekends and holidays in the off-season, and daily throughout spring and summer. The most recent attraction to Magic Mountain was Justice League: Battle for Metropolis, which opened this past July to take guests along with Batman, Superman and friends as they face classic DC villains to save their city.